Year 7 students have been seeing the benefits of their iPads during Learning Support lessons and in supported lessons across the school. Students have been developing independence, organisation and effective study skills using the camera tool to take photographs of their own work and of key words and explanations of different concepts. ‘Skitch’ has been used, alongside other annotation apps to add notes to pictures enabling students to build up their own electronic portfolio of work, as well as a library of personalised resources and study aids. QR readers have also been employed to enable students to access information more efficiently in an engaging environment. The speak facility has proved to be an especially powerful tool for students to check, edit and proof read their own written compositions. Students can hear their work read aloud and can therefore identify and correct any mistakes themselves, taking ownership of their learning and being responsible for their own improvements. A range of subject specific apps are being used to enhance learning across the school curriculum, providing a more multi-sensory learning experience from spelling and language tools to interactive Maths apps. 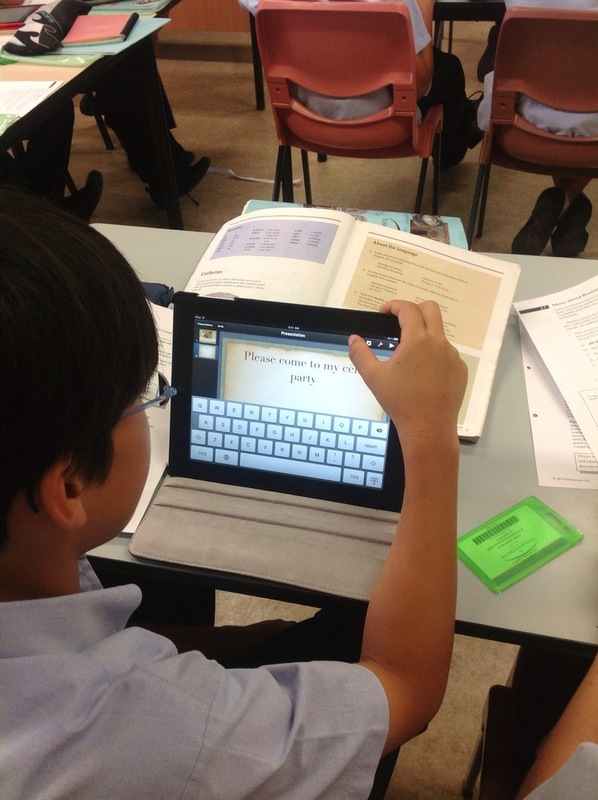 Both students and Learning Support teachers have enjoyed adding this new dimension to their teaching and learning.